It’s 1922 in New York City, and a young Millie Dillmount has just moved to the Big Apple in search of a new life. Her grand plan is to find a job as a secretary for a wealthy man and then marry him. However, her plan goes completely awry. Millie’s wealthy boss is slow in proposing marriage, and the man she actually falls in love with doesn’t have a dime to his name – or so he tells her. What’s a small town girl to do? Thoroughly Modern Millie JR., is a dance-heavy show with plenty of large numbers, and featuring a star-turn in the loveable and courageous Millie Dillmount. As parking on-site is limited, please park at LaBelle Haven Baptist Church next door to the restaurant. Dating can be hard! Especially when your date happens to be a raging kleptomaniac, or your grandmother’s bridge partner, or a mime. 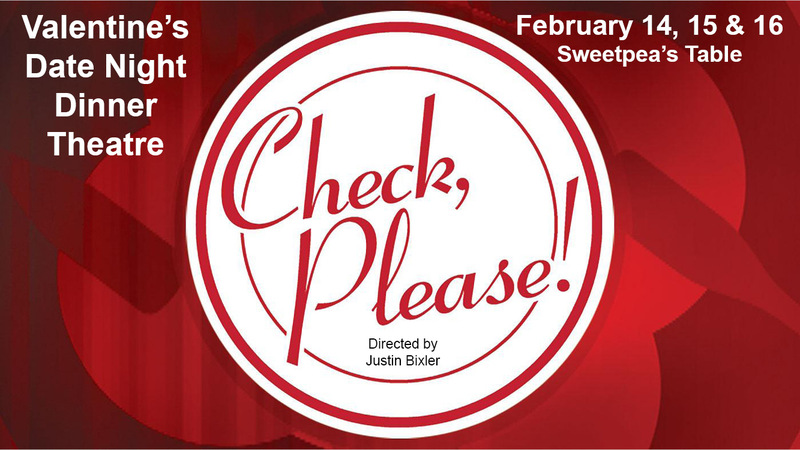 “Check Please” follows a series of blind dinner dates that couldn’t get any worse — until they do. Could there possibly be a light at the end of the tunnel? A fun night out alternative for you and your significant other, a group of friends, or even a blind date! Proceeds benefit the Kudzu microphone fund. 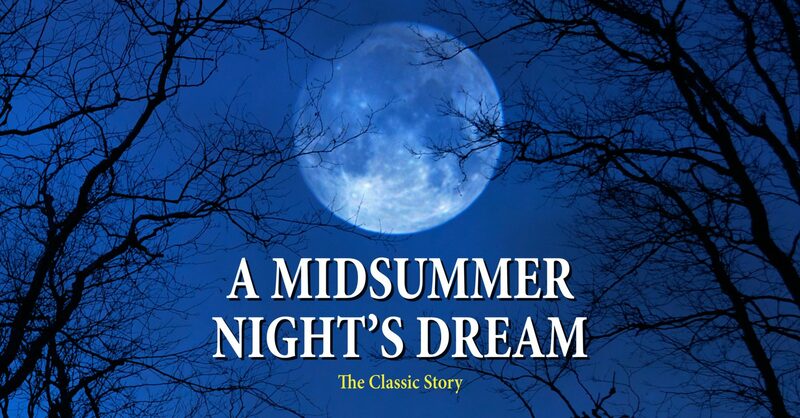 DUE TO INCLEMENT WEATHER AND FOR THE SAFETY OF OUR ACTORS AND PATRONS, we have made the difficult decision to move this week’s production of “A Midsummer Night’s Dream” indoors to Friendship Church of Christ for ALL PERFORMANCES. Theseus and Hippolyta are planning their wedding festival when Egeus, an Athenian nobleman, enters the scene, followed by his daughter Hermia. Theseus wants Hermia to marry a young Athenian nobleman named Demetrius, but she refuses. Hermia flees into the woods with her true love, Lysander. Helena, determined to win Demetrius’ love for herself, tells him about Hermia’s plan to elope with Lysander. He immediately goes looking for Hermia in the woods. Meanwhile, Oberon quarrels with his wife Titania, the Fairy Queen. Oberon sends the mischievous Puck to sprinkle a love potion on Titania. On the way, Puck decides to have some fun and cast a spell on Lysander and Demetrius. Puck’s spell causes both Lysander and Demetrius to fall for Helena. A betrayed Hermia chases Helena while the men fight. Under the influence of the love potion, Titania falls for Nick Bottom, an actor with a donkey’s head. Chaos ensues, and the play becomes a comedy of errors. Finally, King Oberon removes the enchantments from all but Demetrius, who’s still in love with Helena. Duke Theseus and Hippolyta share their wedding festival with the newly matched lovers.